What happened to summer? Here in the southeast U.S. we're approaching the end of vacation as we have only two weeks left until school is back in session. Rather than mourning the end of summer, with the kids back in class, moms everywhere will be able to catch up with those books that have been languishing in wait since June. Hmmm. Maybe, the appropriate phrase should be, "Let the celebration begin!" Here at TRD, we're prepared to help you celebrate August with blog posts, interviews, reviews, spotlights, blog tours and more. And don't forget the giveaways! I brought a lot of books home from the RWA conference that are ready and willing to fly away to good homes. Here's what's on tap for this month. We kick off the month on Monday, August 4th with Andrea's list of new releases. I can't wait to see what books will be out this month! Don't miss Monday, August 11th when fantasy romance author and Dish reviewer Nancy Northcott interviews her good friend, contemporary author Jesse Hayworth. 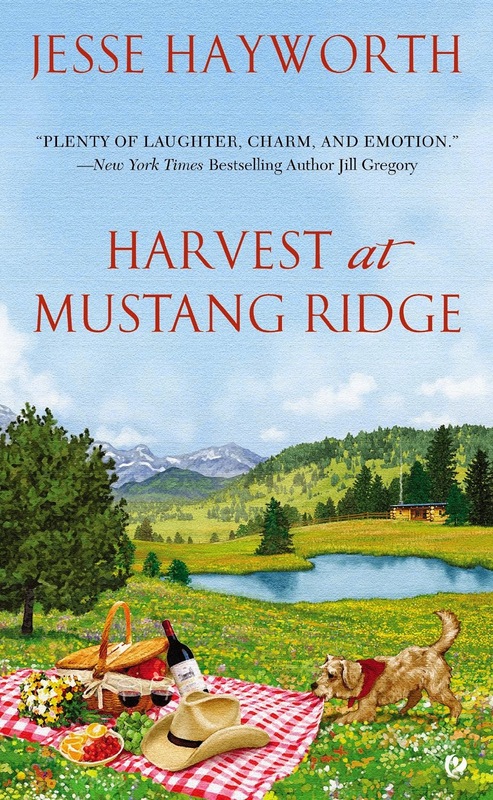 The newest book in Hayworth's heartwarming Mustang Ridge series, Harvest at Mustang Ridge will be released August 5th. 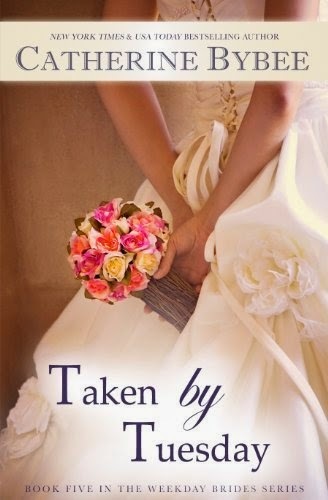 On Wednesday, August 13th we welcome the Catherine Bybee Taken by Tuesday blog tour. The fifth book in Bybee's Weekday Brides series, Taken by Tuesday will be released on August 12th and promises plenty of thrills and chills. PJ is excited to introduce readers to 2014 Golden Heart Award winner Lenora Bell on Friday, August 15th. Lenora won the award for Best Historical Romance manuscript and will be blogging about her journey to the Golden Heart. 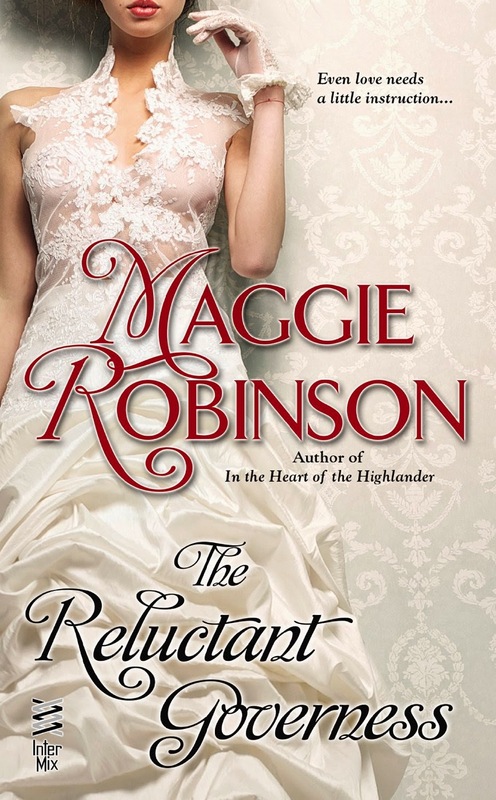 Maggie Robinson returns Tuesday, August 19th to blog about The Reluctant Governess, the third book in her Ladies Unlaced series. Fans of the series will be excited to learn what happens when the Evensong Agency secretary, Eliza Lawrence is pressed into service as a reluctant governess. On Thursday, August 21st we welcome our own Anna Campbell's blog tour for Anna's August 26th release of What a Duke Dares. This historical romance is garnering some terrific pre-release reviews! Anna will return on Sunday, August 24th (which happens to be her birthday!) for her monthly Second Helping book review. We look forward to welcoming her back after a month's vacation. We hope you will join us for these guests and more as we celebrate August at The Romance Dish! WHAT'S ON YOUR SCHEDULE FOR AUGUST? WILL YOUR CHILDREN BE RETURNING TO SCHOOL OR DO THEY HAVE A LATER START DATE? WHAT AUTHORS WOULD YOU LIKE US TO HOST HERE AT TRD? I CAN'T MAKE ANY PROMISES BUT WE'LL DO OUR BEST TO ADD SOME OF THEM TO OUR SCHEDULE! HAVE YOU WATCHED THE FREE PREMIER OF OUTLANDER (based on the books by Diana Gabaldon)? WHAT DID YOU THINK? WILL YOU BE WATCHING THE STARZ SERIES? IF YOU DIDN'T SEE THE PREMIER YOU CAN STILL CATCH IT ONLINE AT STARZ. My last two weeks of "freedom" are full with activities of school prep, canning, and running last-minute errands. I start school on August 18th, the kids come on the 20th. Summer just flew! I like forward to Hawkeye football, but mostly look forward to watching my daughter play volleyball this fall. We have all turned into volleyball enthusiasts because she is passionate about it. My kids don't go back until after Labor Day, so we have the whole month left. We will be visiting my dad in Cape May and I have an upcoming night photography workshop I'm really looking forward to. Football season? I prefer to call it chips and dip season, so many finger foods so little time. BTW Go GIANTS!!! I'm reading Suzanne Enoch's Rogue with a Brogue this weekend. Finally got some time to get some reading in. Hmm, how about trying to get Tessa Dare or Laura Lee Guhrke? I want to hear all about that night photography workshop. It sounds fascinating! I had no desire to read the books but, I have to say, I found the free episode of the TV series compelling. In August two fabulous books coming out, Lauren Willig's next Pink Carnation book, The Mark of the Midnight Manzanilla and Susan Elizabeth Phillips next book is Heroes Are My Weakness, coming out on August 26. An awesome August lineup, PJ and Andrea! Lots of writing will fill my August. My next freelance project is writing brief essays on a dozen literary terms, I have a dozen book reviews and several essays on romance fiction to write, and I hope to get some work on my under-the-bed trilogy done. The grands start back to school this week. I have mixed emotions about the start of football season. I love the sport, but 2014 will be the first time since my brother’s little league days that we won’t be sharing football season with him. I’m reading an ARC of Mary Balogh’s Only Enchanting with several new Christmas books next in line. I’d love to see Lisa Kleypas here to talk about her final Travis book and her return to historical romance. Janga, I can understand your feelings about the upcoming football season. I felt the same way the first season after my dad died. Even now, eight years later, I find myself reaching for the phone to call him when something exciting happens in the game between our rival colleges. I'd love to see Lisa Kleypas here too! I'm really looking forward to Grace's and Anna's books! We start up our bowling league at the end of August and say goodbye to our bocci league but then we start game night :) My kids are grown. I love football season but I've really been getting into baseball this year. I haven't read my Outlander books as yet so I'm not going to watch. I'm currently reading Thornbrook Park by Sherri Browning and enjoying it. Any historical authors make me a happy camper! I have Thornbrook Park on my tbr. Glad to hear you're enjoying it! Rats, I had commented on the post and clicked the link to Outlander and lost everything. August is going to be a catch up month. I just got back home after being gone for 4 weeks (visiting family which is not really vacation). The weeds took over my flower beds and I am so far behind on so many projects. Aside from unpacking and getting house and garden in order, I have several major volunteer projects to work on. Children are grown and have families of their own, so I can just enjoy the grandchildren. I enjoy football, but don't watch too many pro games. The amount players are paid and the unnecessary roughness is frustrating and upsetting. We tend to watch primarily college games. My husband is a Gator, so those games tend to be the main games we watch. There are also a few teams we don't like and have been known to watch their games to cheer for whomever they are playing. I started reading OUTLANDER Friday. I have wanted to read it forever. I have all the books, but they are so long, I haven't dared to start them (nothing else would get done).I want to at least keep ahead of the upcoming series. 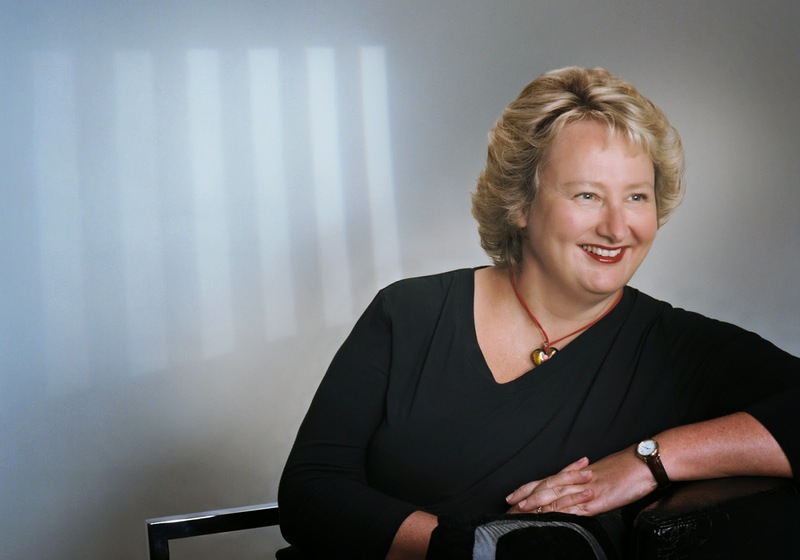 I would love to see an interview with Julie Garwood. Her THE PRIZE was the first romance I read and got me hooked on the genre. She is one author I have never heard of doing interviews or signing tours. Doesn't mean she hasn't, just I missed them. I thought OUTLANDER was starting next week. We do get STARZ and I have been looking forward to the series. I am going back to the link to see what I missed and how to watch it. Another good line-up for August. Looking forward to it all. Pat, OUTLANDER does start next week. STARZ launched a free first episode over the weekend, most likely to generate buzz and entice more people to sign up for their service. Brilliant marketing, if you ask me.. You can watch it on demand or at the STARZ website. Wow, way to set that interview bar high! LOL! I adore Julie Garwood. Her Saving Grace is my all-time favorite comfort read. I haven't seen any interviews with her lately so I'm not sure if she does them....but...I have a really cool story concerning her. (some of you may have read this when it first posted at RomanceNovelTV and then later here at TRD). Back in 2009, I wrote a blog about my favorite romance heroine, Johanna from Garwood's Saving Grace. Johanna is a compelling character and I wanted some insight into Garwood's thoughts as she created her. So I sent her an email. I honestly never expected a response but, guess what? She responded! That's an email I will never delete! I just reread your post and my response. I never did get my copy of the tape back and might replace it at some point. It was good for a quick listen, but a few of my favorite scenes were left out. Her growth was always reassuring and inspiring. 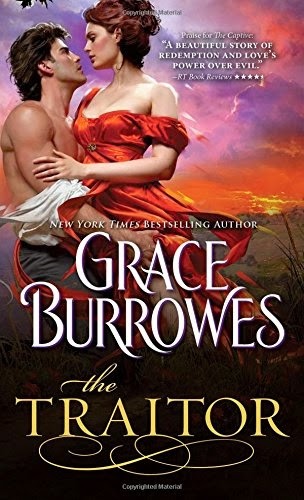 Since Garwood's historicals were my first romances and I loved them, I was quite upset when she switched to contemporaries. I have most of them on my shelf and have listened to a few we got in at the library. Those I listened to were good and I will read the others. I just really miss her Highland heroes (and others) and women who fought to assert themselves and thrive in a world that restricted them. You here at the Dish have always managed such interesting interviews, I am sure any authors you decide to feature will be well worth reading about. Most I would really like to hear from are probably not available - well established and not doing much in that area any more. I will have company August 21-25th. I'll be going to visit my mom who is still recovering from a fractured pelvis. I spent the weekend babysitting my two grandchildren! Always Fun! I didn't have time for any reading. Go Packers! Go Badgers! Go Gators! Love football games. I did not see or read OUTLANDER. My youngest son will start his final year of grad school in one week. It's winter here, so I am looking forward to spring. I'm going to wait for OUTLANDER to have finished airing & buy the DVD. Then I can watch & watch & watch. Trying to finish my online cls. I don't have to worry about this one. ARE YOU AS EXCITED ABOUT THE UPCOMING START OF FOOTBALL SEASON AS I AM? Sorry, not Am football fan. But good luck to your team. Believe it or not, I just finished reading the good ol' Mark Twain's "Tom Sawyer & Huck Finn", still made me laugh, those two scamps! I only know/read but one author on your line-up here, Anna Campbell, that is. I'm thinking maybe (if you can), some more of romance writers who live outside US, non-American? It would be kind of fun to hear from them.